3-room on ground floor of detached house (70m²). 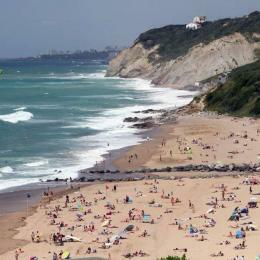 300m from shops, 600m from beaches and Ilbarritz golf course, 2km from Biarritz centre, 20km from Spanish border. Sitting/living room with double sofa bed + TV and DVD, shower room with wc, separate kitchen with dishwasher + freezer. 2 rooms with double bed, shower room with wc + washing machine. 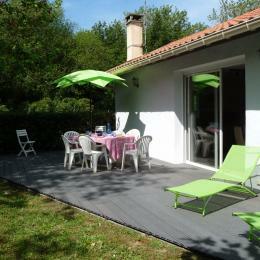 Garden, terrace with garden furniture + barbecue/plancha griddle and loungers, bike storage room, carport.